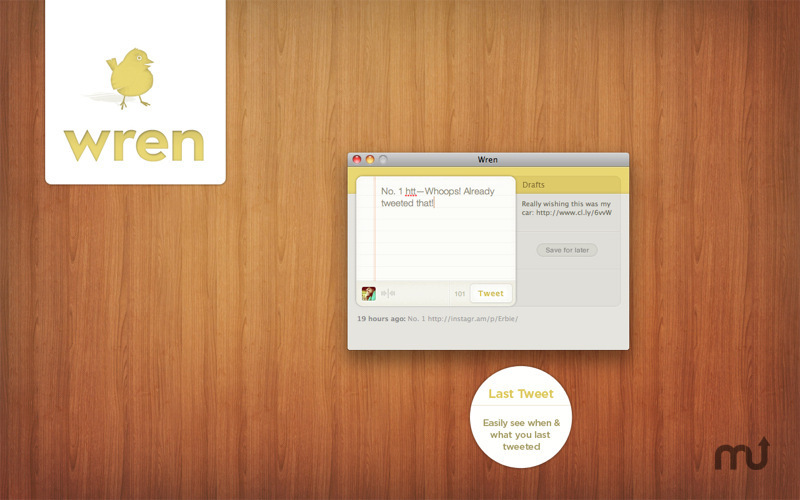 Distraction-free work environment with saved-draft tweeting. Is there a better alternative to Wren? Is Wren really the best app in Internet Utilities category? Will Wren work good on macOS 10.13.4? 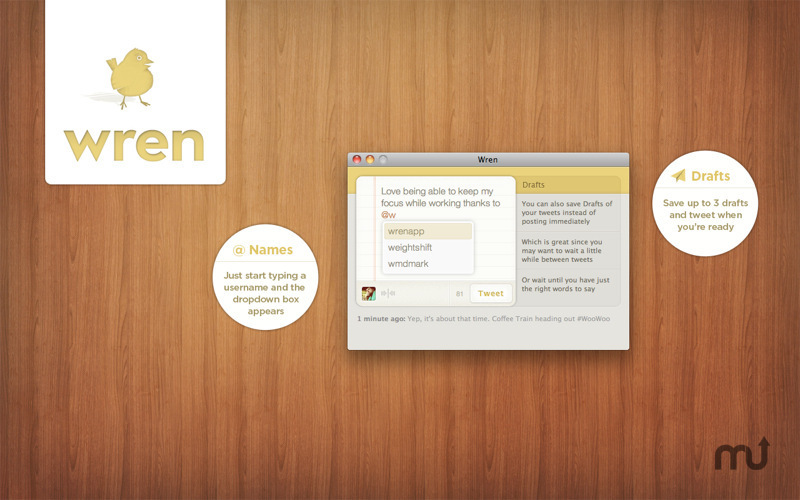 Wren is a distraction-free work environment with saved-draft tweeting. You want to get things done and be productive during your day, so you close Mail and Twitter. But how will you post that funny thing your coworker just said, that awesome link to a new site or that screenshot of the project you're working on? That's where Wren comes in. 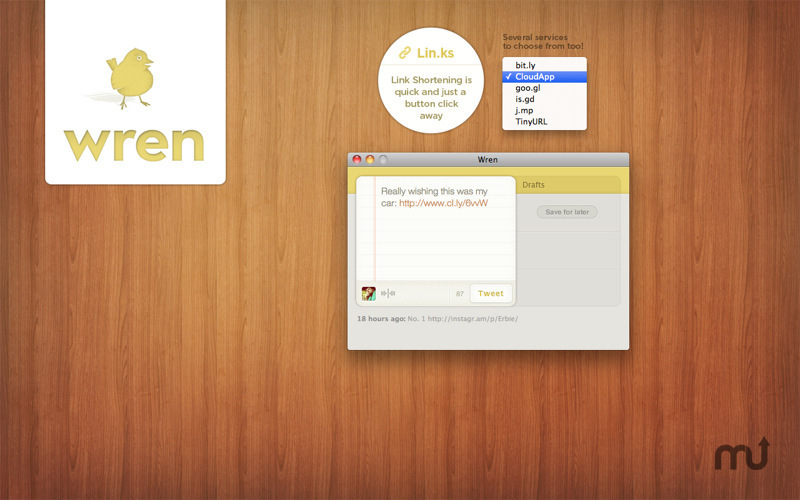 Wren lets you tweet without losing focus on the task at hand. Like blinders for your workday and like a librarian for your Twitter experience (Shh!! 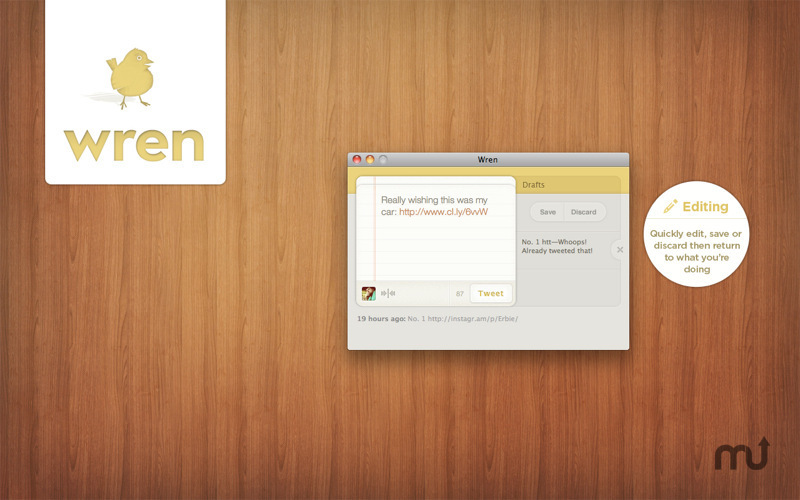 ), Wren lets you tweet without distraction. Wren needs a rating. Be the first to rate this app and get the discussion started!